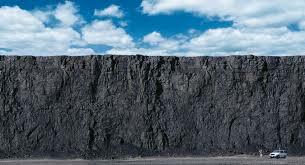 April 14, 2013—The United States is using less coal, resulting in less CO2 emissions being released by the U.S., but to keep profits flowing Peabody Energy is exporting their coal to other countries. Peabody Energy (previously Peabody Coal) is the largest private coal company in the U.S., and its exports to China and India are set to increase from 1 billion to 5 billion tons by 2015. Though Peabody has made a small effort to invest in the development of clean air technologies, it exports coal to over 23 countries worldwide, where coal environmental regulations aren’t as stringent as in the United States. Newsweek Magazine has ranked Peabody Coal the least eco-friendly company in the United States. Peabody Coal changed assets to Patriot Coal. In April 2013, protesters converged on a Peabody CEO meeting in St. Louis to protest environmental and worker contract issues saying, “Peabody attacks pensions, lands, and climate.” They also protested the impact on health, land, and water resources of the Black Mesa section of the Navajo/Hopi Reservations where Peabody has strip mines. In the 1960′s, Peabody Coal contracted mineral and water rights on a section of the Navajo/Hopi Reservations called Black Mesa. The contract was negotiated by a lawyer, John Boyden, who claimed to represent the Hopi and Navajo people, but was, reportedly, on Peabody Coal Company’s payroll. The lease agreement was for 14 million tons of coal per year to provide electricity for southern California, Nevada, and central Arizona. 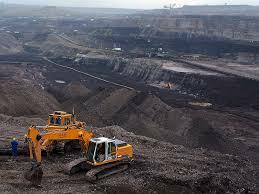 Keep Coal in the Ground! Not only is Peabody Energy a polluter without a conscience, they have refused to honor their contract with their coal miners, many having poor health conditions, including Black Lung. Here’s what big corporations can get away with! Peabody has recently shifted some of their assets to a new dummy company, “Patriot Coal”, in order to keep from paying “legacy costs” to miners. “Legacy costs” are increased healthcare fees and other benefit-related costs payed to a company’s workers and retirees. 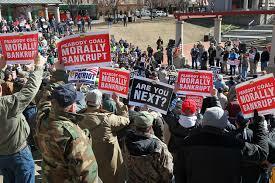 “Patriot Coal” (Peabody Coal) is now in federal court declaring bankruptcy. They expect their debt of one billion dollars owed to their miners will be “forgiven”. Jim Hayes, of the Sierra Club, writes, “Peabody’s profits have increased in recent years, as it carries out more uncontrolled pollution mining and expands its trade worldwide, especially to China.” The only way fossil fuels will stop polluting our atmosphere is if they stay in the ground. It’s senseless for one country to make an effort to move towards renewable resources but move the culprit, coal, to countries with no regulations. It’s all the same world, and our atmosphere doesn’t know the difference. The pollution is only entering the atmosphere from a different location on our planet. Categories: Climate Change, Energy Programs, Fossil Fuels | Tags: Climate change, Fossil fuel, Peabody Coal, Sustainable energy | Permalink.